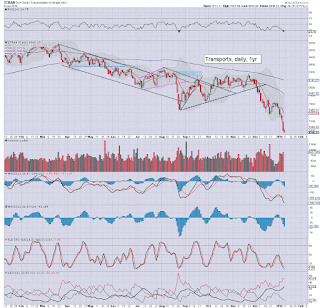 The year has begun on a severely bearish note, with net weekly declines ranging from -7.9% (R2K), -6.2% (Dow), to -6.0% (sp'500). The US (and other world markets) have rolled over, and are set for increasing weakness into the late spring/early summer. The sp'1600s look due. 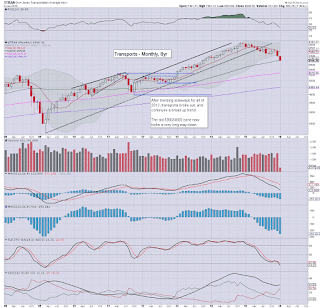 With a net weekly decline of -121pts (6.0%), the sp'500 confirmed the weakness seen in the closing days of December. Underlying MACD (blue bar histogram) is now ticking lower, back to levels last seen in September. In theory, there is a viable 4-5 months of further weakness. 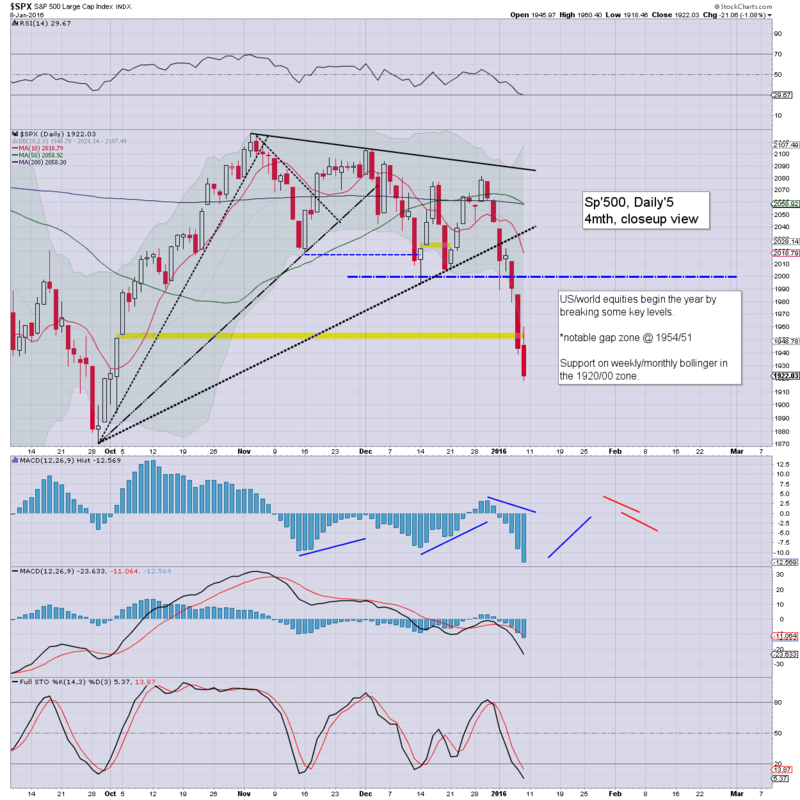 So... an important equity low around May/June seems probable. 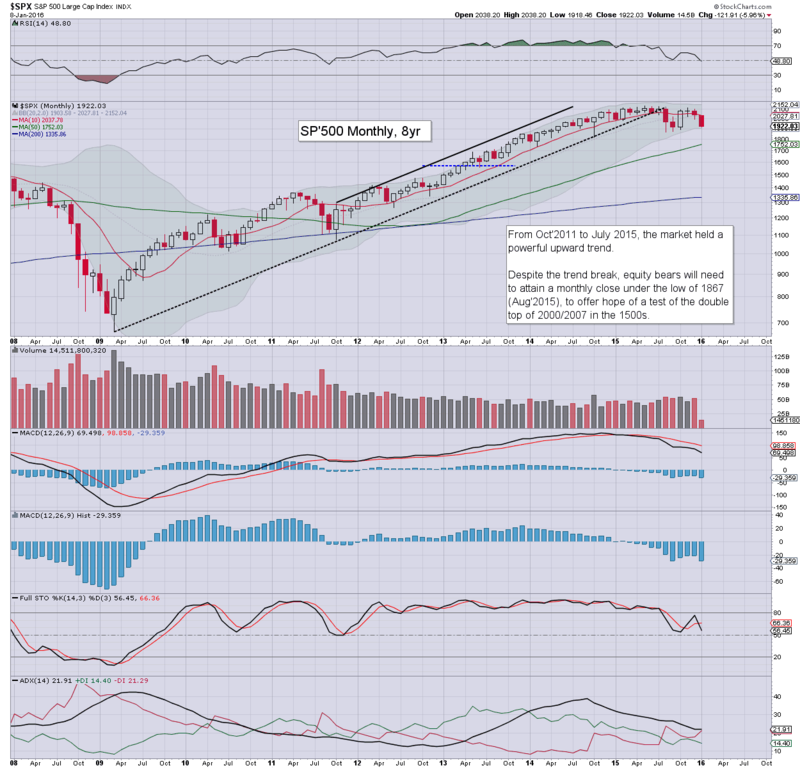 Based on momentum downside potential, the sp'1600/1500s look viable. 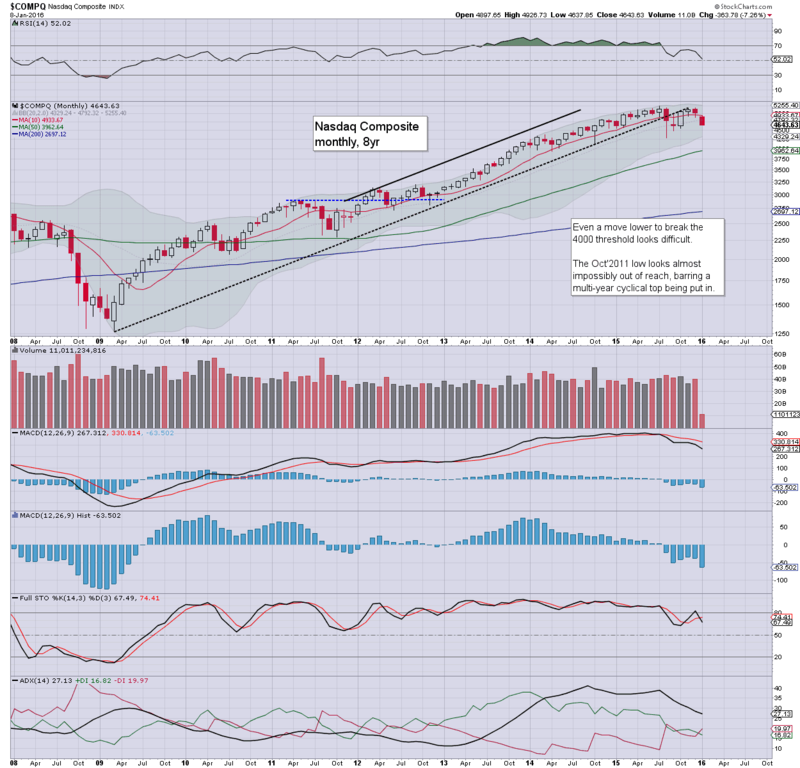 At the current rate, the MACD (black line) will turn negative in April/May. The last time that happened... Sept'2008. With a Friday close of 1922, there is high threat of a Monday gap lower under the 1900 threshold, in which case the Aug' low of 1867 becomes an immediate target. 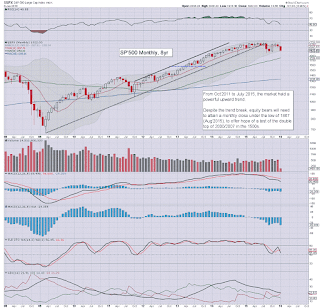 Best guess... a floor in May/June.. somewhere in the 1650/1550 zone...before battling powerfully higher into year end. Whether the Fed will initiate QE4 to 'inspire' such a recovery... difficult to say. The tech' declined by -7.3% @ 4643. 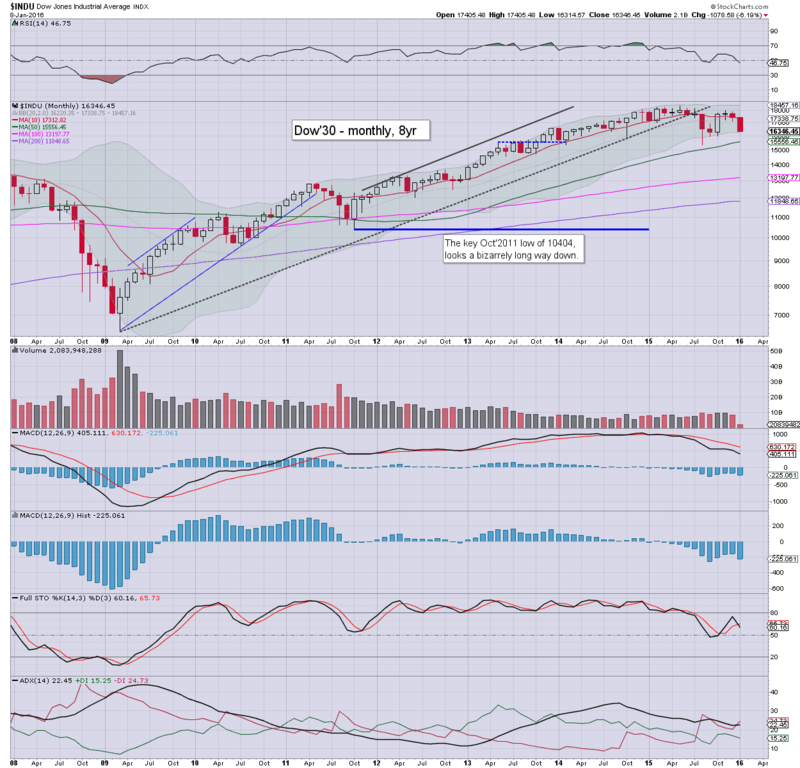 The 4400s look a very valid target in the immediate term. After any bounce into late Jan/Feb, next target will be the 4K threshold. Best downside case for the summer is probably the 3500/3250 zone, and that is a long way down from the July 2015 high of 5231. 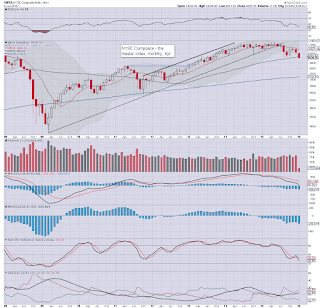 The mighty Dow saw a weekly decline of -1078pts (6.2%) to 16346. Next support is the 16K threshold, and then the Aug' low of 15370. 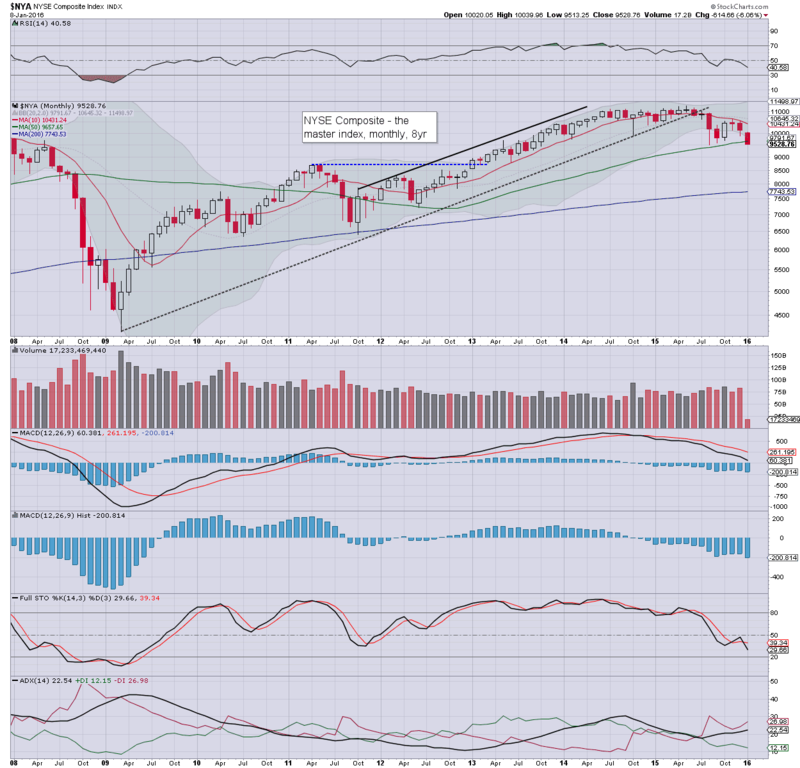 Broader weakness to 14K or 13k looks due by May/June. A year end close >18K sure would mess with many traders minds. 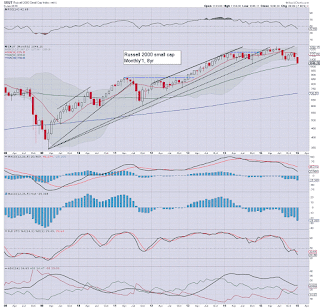 The master index declined -6.1% @ 9528, already close to the Aug' low of 9509. That is clearly not going to hold, with near term downside to the 9000/8800 zone, and broader summer downside to 8000/7800. The second market leader - R2K, imploded by -7.9% to 1046... breaking the Aug' 2015 low, and just 6pts shy of the Oct' 2014 low. Further weakness to the giant psy' level of 1K looks due. 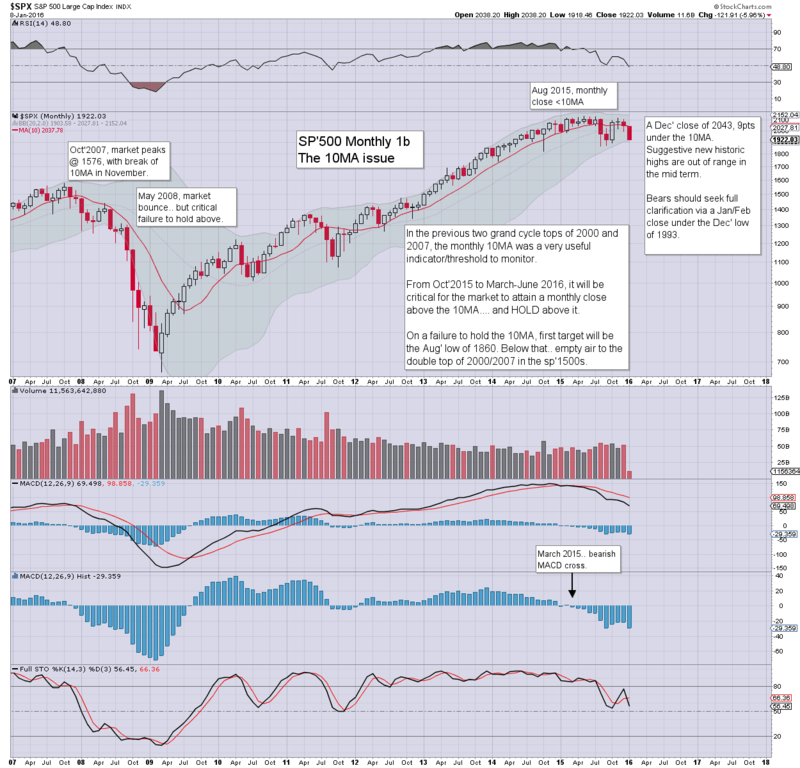 Considering the outlook for the sp'500, the R2K looks set for 850 by the summer. 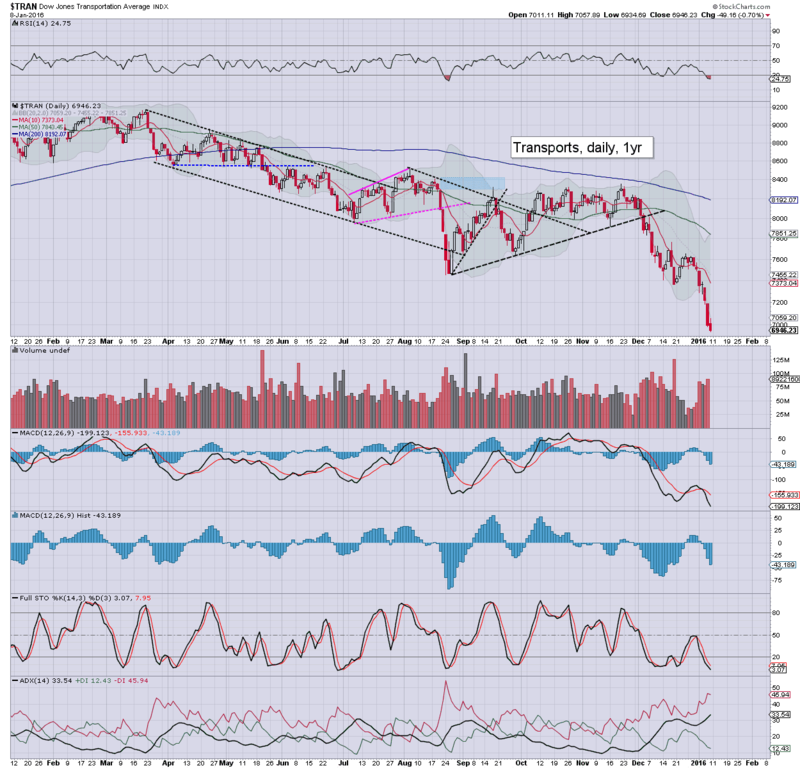 The 'old leader' - Trans, declined by a severe -7.5%, settling @ 6946, the lowest level since Oct'2013. The 6K threshold looks highly probable by the summer. I find it difficult to envision price action <5K, unless sp'<1500, which I don't currently foresee. It was the most bearish opening week to a trading year.... EVER. The weakness seen in the last few days of December was a key tell. 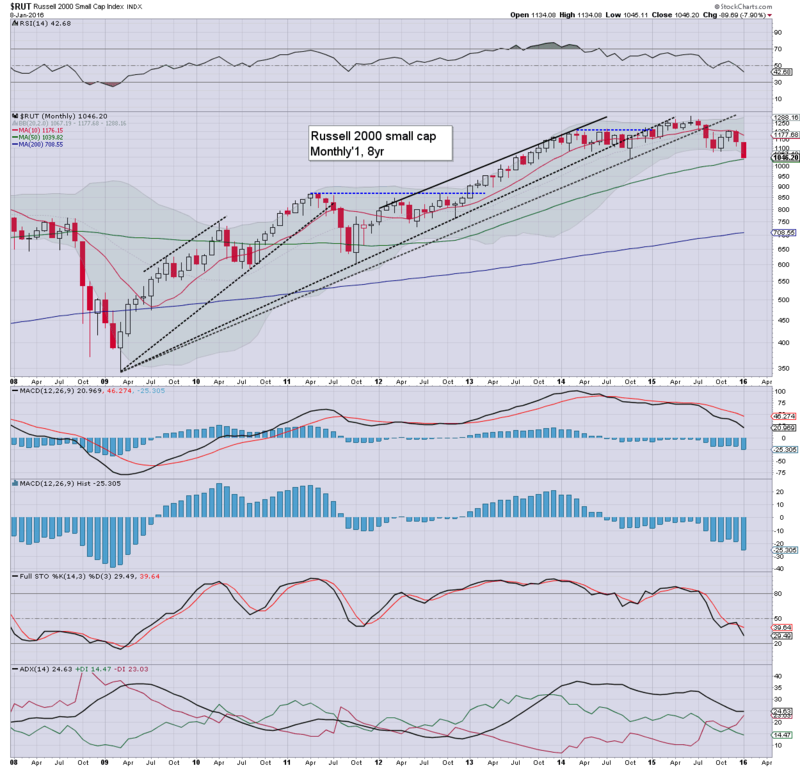 As I noted last weekend, the monthly close was a bearish one... and indicative of the equity bulls having FAILED to break a new high. 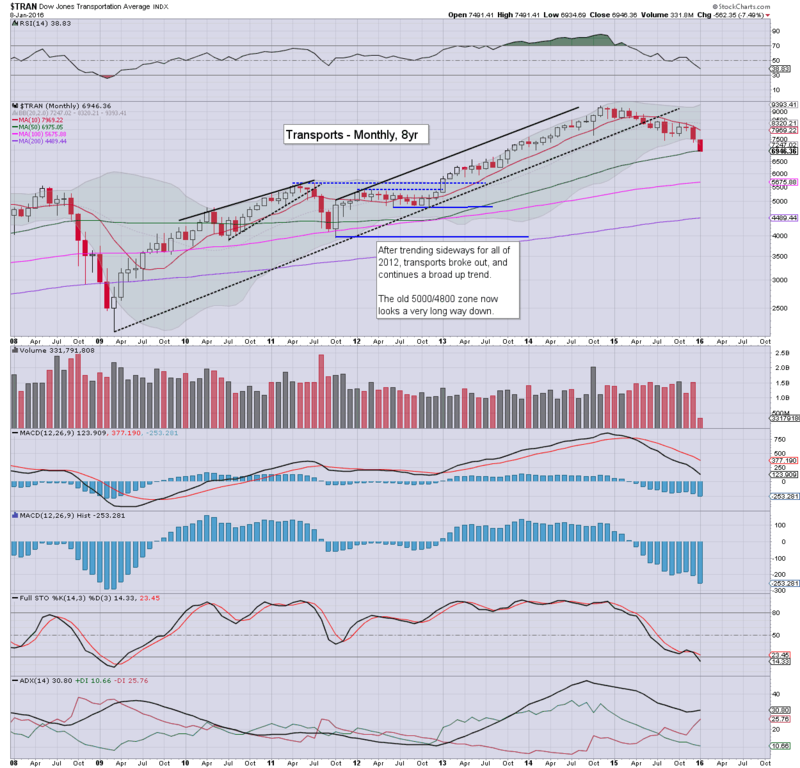 With severe net weekly declines (not forgetting the trainwreck Friday close), the mid term outlook is bearish. There will clearly be strong counter rallies, but they should generally result in contributing to a series of lower highs. The default trade is to the short side. The week begins with very little, but does end with a wheel barrow of econ-data on Friday. Friday is OPEX, so expect increasing chop into the weekly close. *there are Fed officials across the week, notably Bullard on Thurs, and Dudley on Friday. This weekend's post is number 10,000. When I began this blog in February 2012, I had only intended to post once a week (as I used to do on the Yahoo! ERX board)... but things immediately spiralled. I'm honestly not sure where these pages are headed. 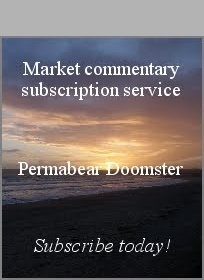 In case a few of you are wondering, I do occasionally think of taking my intraday posting to a subscriber based model.... but I've no plans to do that at the moment. At the rate I'm going, my post total could match the Dow later this year. Would that count as a bullish unicorn/rainbow cross? It is always good to hear from YOU ! .. so do say hello.. if you like. It was a powerfully bearish week in US equities, with the sp'500 net lower by -121.9pts (6.0%) @ 1922 (intra low 1918). 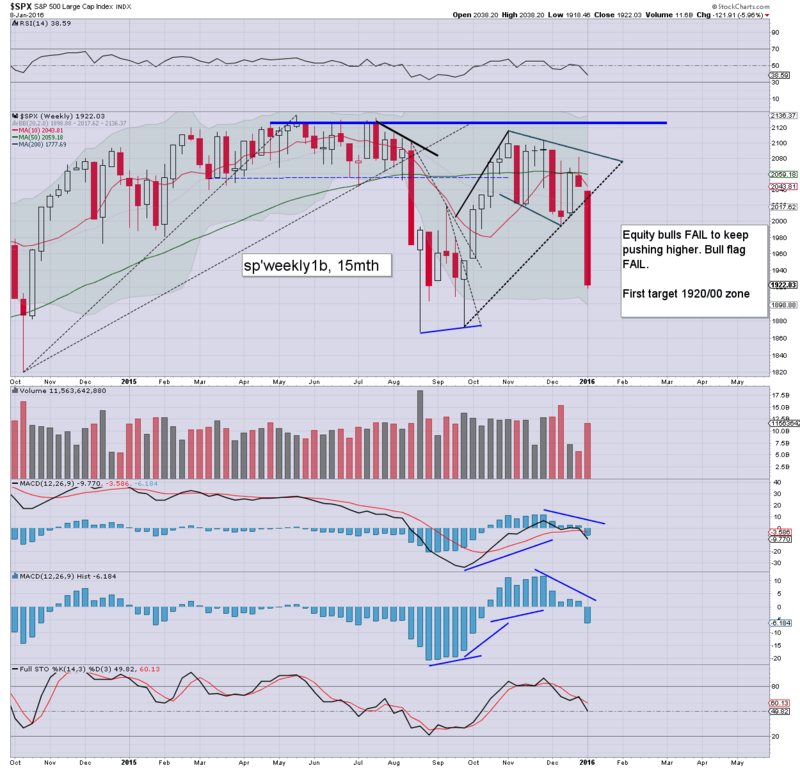 There is serious threat of a giant Monday gap lower... under the 1900 threshold, and testing the Aug' low of 1867. 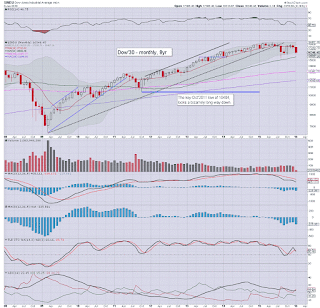 *note the monthly candle, falling away from the 10MA (2037)... and I don't expect to see the market back above the 10MA until late summer at the earliest. Suffice to add, with December closing bearish across US and most world equity markets, it was not surprising to see further declines this week. Does it bode well for the bears for the rest of the year? 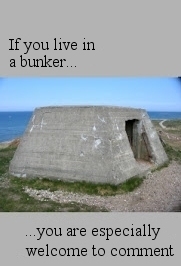 Yes, and no. I hold to my outlook of broad weakness into the late spring/early summer, perhaps to the sp'1600/1500s... but then rallying into end year. 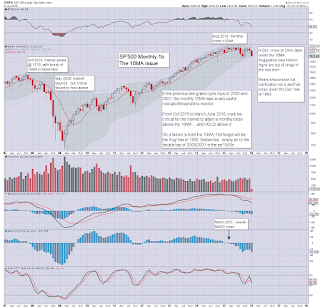 Indeed, I'm looking for marginal new historic highs in the sp'500 by end year to 2185. *yet another new low for the 'old leader' - Transports, @ 6934. 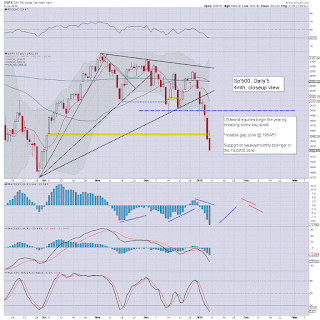 The daily/weekly close was very bearish, as the sp' hit the target zone of 1920/00. 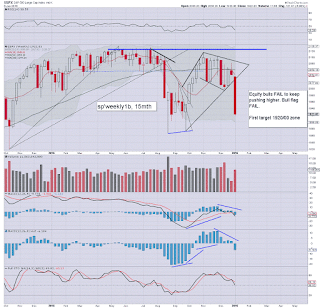 There is SERIOUS threat of an opening gap lower under the 1900 threshold.. with empty air to the Aug' low of 1867. The market will likely see a floor next Mon/Tuesday... before battling upward (upside/bounce target will be dependent on where we floor).